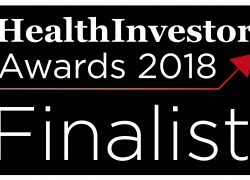 For the second consecutive year, Compass Associates are proud to announce that we have been shortlisted as Finalists in the category of “Recruiter of the Year” for the 2018 HealthInvestor Awards as part of Compass Holding Group. The Awards are widely considered to be the leading industry calendar event of the year, which recognises, celebrates and highlights the best talent within the independent health and social care industry. Compass Associates are delighted to announce four promotions across each division in readiness for the new financial year. Pete Griffiths joins Jodie Kemp and Carl Dutton as one of three Divisional Managers of the Care Home division; leading a team delivering across clinical and operational level assignments across the Midlands and the South. Pete previously held management positions in retail before moving over to a career in recruitment. Emma Alexander will now head up our expanding Children’s Services division covering Children’s Residential Services, Fostering and Specialist Education facilities across the UK. Emma is a natural fit for this role following two successful years at Compass Associates so far, and having previously lead a team of 14 in insurance sales at Capita.